We were sitting around a table full of the remains of a Thanksgiving feast, when Laura got a text. 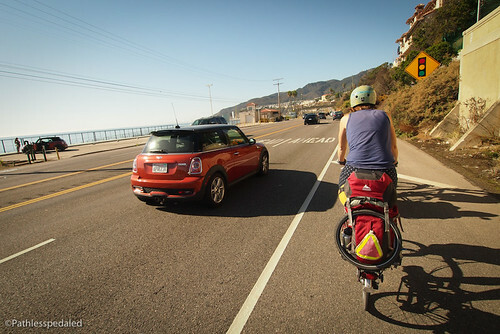 “S24O to Leo Carrillo?” Stuffed with turkey and mashed potatoes, pedaling fully loaded up PCH was really the last thing on our minds. However, feeling generally gross from not being on a bike the last few days and having just consumed a massive Thanksgiving dinner, we knew we had to go. After a little deliberation we said yes. 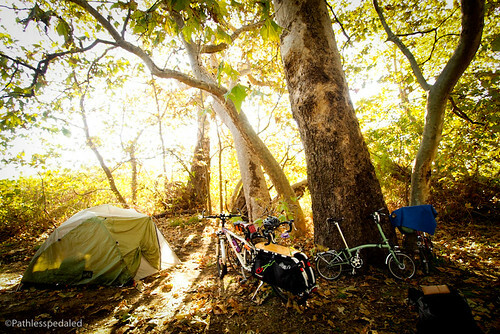 The idea of the S24O was coined and popularized by Grant from Rivendell Bicycle Works. 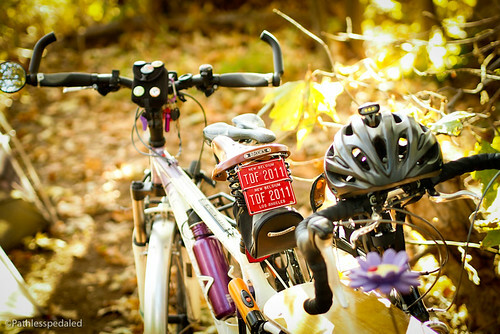 Because of its growing popularity, Adventure Cycling even started BikeOvernights.org for people to submit their short form tours. 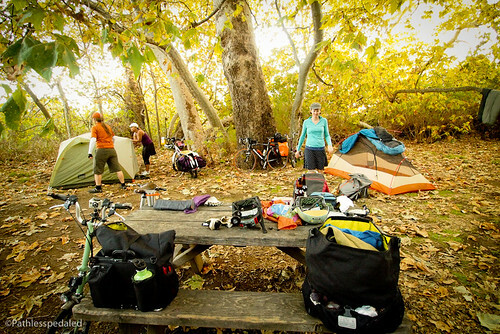 There are many luscious and evocative images of the Rivendell crew pushing bikes up dirt roads, across little creeks and camping on a hill overlooking Walnut Creek – but that’s the Bay area. We were squarely in Sprawlville. Undeterred, we loaded up the Bromptons and rode 12 miles to the nearest lightrail stop in North Hollywood. We hopped the train to Union Station where we picked up an express bus that took us to Santa Monica. Total trip time to get to the START of the riding – 3 hours. 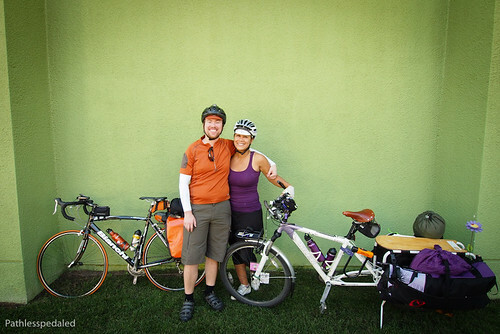 We met up with Bryan and Cynthia at the co-op in Santa Monica and then hit the road. Our route was to take PCH more or less North to Leo Carrillo. I have to put it out there and say that PCH through Malibu is one of my least favorite stretches of roads in Los Angeles. The traffic speeds are fast, the shoulder is constantly disappearing and the drivers can be rude and obnoxious. 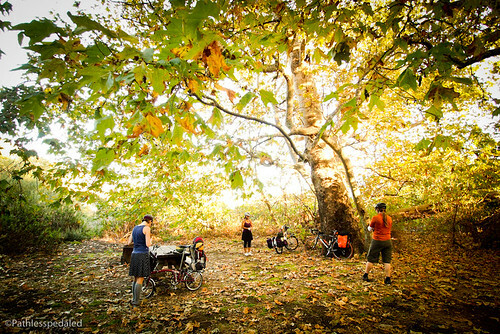 Perhaps it was because people were experiencing turkey hangover, or maybe it was the odd sight of two Bromptons, a road bike and an Xtracycle loaded with camping gear, but the drivers this particular weekend remained fairly calm. The riding was not pleasant, but it was bearable. 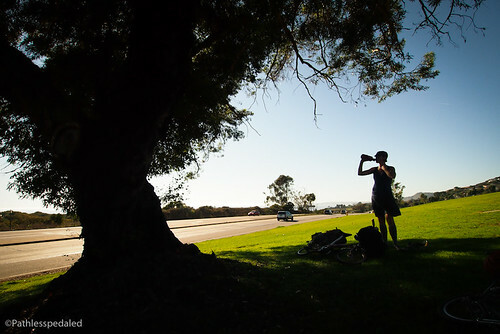 It wasn’t until we hit Pepperdine University that the shoulder widened and we could start to (almost) enjoy the ride. From Pepperdine onward, the road conditions were a little better and we could enjoy the hills and the scenery. The weather this weekend was uncannily perfect. The highs were in the low 80s at the end of November! 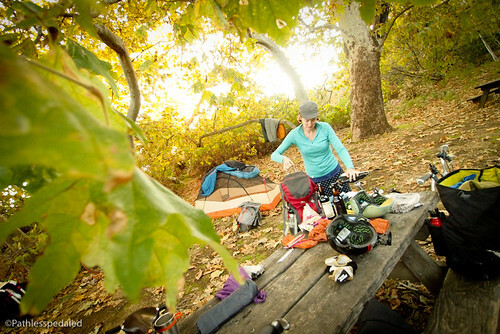 I’ve camped at Leo Carrillo before on some solo bike trips, but this was Laura’s first time there. Suffice to say, it did not disappoint. As we rode in the park entrance, the sign read “campground full”, but Leo Carrillo is one of the last state parks in Southern California to have a hiker/biker site. The site itself is beautiful anchored by a large and sheltering tree. All around us was the orange and yellowish glow of leaves changing colors. 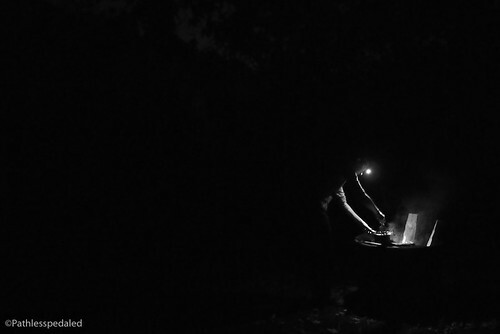 The weather was perfect and we knew we were in for a pleasant evening of beers around the campfire. It was hard to imagine that we were only about 30 miles from Santa Monica with its bustling pier and promenade. 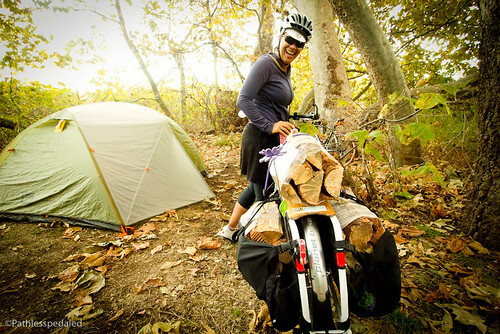 Cynthia got three bundles of firewood from the camp store with the Xtracycle. We took showers, cooked our meals, drank some beers and made some smores over the fire. We had a lazy morning, burning the last bundle of firewood, brewing some coffee and taking down camp. The weekend was a beautiful respite from the craziness of Los Angeles. We all remarked how lucky we were as bike tourists to still have the hiker/biker site at Leo Carrillo. If you live in Southern California, it’s worth a visit (even if you’re not on some epic bike tour and just for an overnighter). Write to the California State Parks and comment on their Facebook page and let them know that the bike site is a valued resource. Hey it’s Bryan and Cynthia! Howdy! Russ, why is it the last with a hiker/biker site? Did other CA state parks have them before? It’s one of the last, in Southern California. Most of the ones south of Leo Carrillo have been closed!